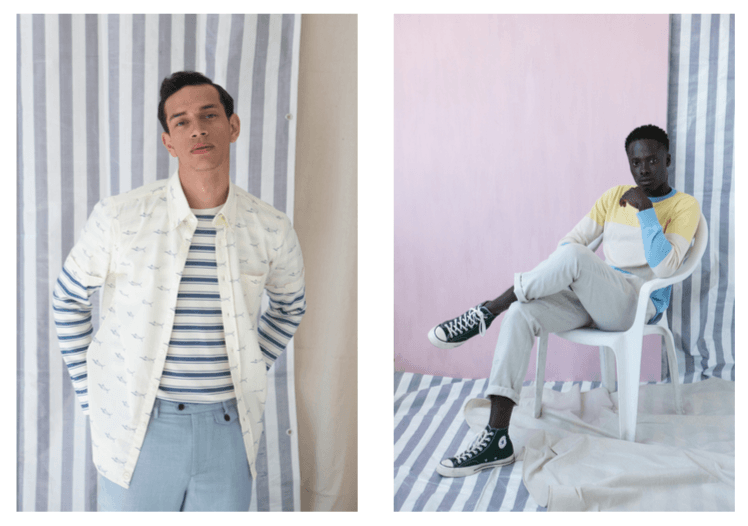 For their SS18 collection, Afield are channelling the downtown highlife of 1950s Havana. The new line is deeply rooted in Cuban culture, fusing the casual with the tropical to make it the perfect fiestawear. Featuring a washed out colour palette across a range of shirts, tees and swimwear. Think big collars, playful motifs, and Afield’s signature prints in the form of tropical fauna, palm trees and flamingos. Oh, there’s the occasional nod to Ernest Hemmingway, too. Obviously. Just looking at the images makes you want to undo a couple of buttons, jump in a Cadillac and drive to the nearest jazz bar, to sip daiquiris and read your old, battered copy of To Have And Have Not. Or maybe that’s just me. See more from Afield here.